Pollen analysis is both an old and young science. The first known descriptions and drawings of pollen grains were made in the late seventeenth century (e.g. Edlund and Winthrop 2014; de Klerk, this issue and references therein). Since then, pollen has become the subject of detailed study thanks largely to improvements in microscopy. It was not until the early twentieth century that the study of pollen and associated entities began to constitute the well-defined science we now term palynology. Two Swedish scientists were amongst those who advanced the discipline—Gunnar Erdtman (1897–1973) and Lennart von Post (1884–1951). Gunnar Erdtman is the father of pollen morphology and produced numerous detailed descriptions and drawings of pollen grains, while Lennart von Post is the father of quantitative stratigraphic palynology. On the first page of one of von Post’s field notebooks (1936) one can read ‘Motto: tänk horisontellt, handla vertikalt’ (English: ‘Motto: think horizontally, act vertically’) with, below the text, a drawing of a field knife and spade (Fig. 1). These words and the associated sketch reflect both humour and novel thinking. ‘Acting vertically’ refers to the labour of coring metres of lake sediment or peat in which pollen grains are preserved, along with the ensuing patient identification and counting of pollen in numerous sub-samples, as well as the interpretation of these pollen findings. A vertical profile of lake sediment or peat is also indicative of a temporal dimension, with the earliest time at the base and the present time at the surface. A pollen analyst is not only working vertically, but also thinking vertically. The translation of the ‘vertical stories’ from several sites into a vegetation history over space is an even more exciting and demanding process. Thinking both ‘vertically and horizontally’, i.e., in time and space, was and remains the major intellectual challenge for pollen analysts. Lennart von Post can be said to have invented modern Quaternary pollen analysis (e.g. Nordlund 2014, this issue and references therein). He took the qualitative suggestion of a third Swede [Gustaf Lagerheim, the ‘spiritual father of pollen analysis’ (Erdtman 1943, p 5; Edwards, this issue)] and transformed it into the brilliant idea of expressing pollen counts as percentages and presenting them in diagrams with percentages on the x axis and depth (or age) on the y axis. Moreover, he used this style of presentation to compare pollen records from several bogs in order to display and interpret his results temporally and spatially. The first pollen diagrams were presented by von Post at the 16th Convention of Scandinavian Natural Scientists in Kristiania (Oslo) in July 1916 (von Post 1916; Birks and Berglund, this issue). The paper was published in 1918 in Swedish (von Post 1918), and was translated into English much later when published in the international journal Pollen et Spores as ‘Forest Tree Pollen in South Swedish Peat Bog Deposits’ (von Post 1967). This lecture and other publications combine to represent classic moments in the history and development of palynology. The approach of von Post was a breakthrough because it made possible the display and summation of a large amount of complex pollen data. From 1908 to 1929, von Post was Geologist and later State Geologist at the Swedish Geological Survey where he was assigned the task of mapping and analysing Swedish peat bogs for both their economic and scientific value. It was in this capacity that he attended the 1916 Convention in Kristiania. He was awarded an honorary doctorate by Stockholm University in 1927, becoming Professor of General and Historical Geology there in 1929. Von Post was undoubtedly one of the key players in the formulation of interdisciplinary Quaternary science in Scandinavia during the first half of the 20th century. It is unsurprising that the international community of pollen analysts gathered at The Royal Swedish Academy of Sciences in Stockholm on November 24–25th 2016 in order to commemorate the centenary of Academician von Post’s seminal 1916 lecture. Thanks to the enthusiasm of colleagues from 28 countries, we were able to celebrate von Post’s pioneering work with 25 talks from invited speakers and 40 poster presentations. The meeting of 180 participants (Fig. 2) was structured into three sessions of lectures and discussions, which considered the past, present and future of Quaternary pollen analysis. The posters depicted a wide range of studies at the current frontiers of palynological research from all parts of the globe. A fascinating exhibition produced and financed by the Department of Geological Sciences, Stockholm University, displayed photographs related to Lennart von Post and his fieldwork, his notebooks, and various ‘pollen memorabilia’. 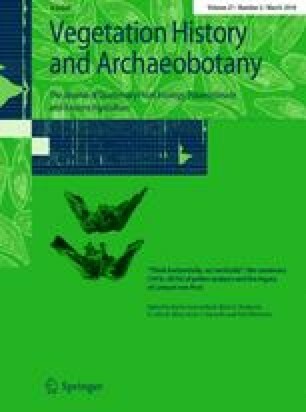 In this Special Issue we have gathered four contributions on palynology’s history and von Post’s legacy (John Birks and Björn Berglund, Kevin Edwards, Christer Nordlund, and Pim de Klerk), and some snapshots of ‘where we are now’ in terms of methodologies, syntheses of results, and understanding of vegetation dynamics and plant ecology over time and space. The European Pollen Database’s potential is exemplified by the contribution of Thomas Giesecke and Simon Brewer on the changing patterns of abundance of trees such as Quercus, Fagus, and Picea and what these changes might represent. Ralph Fyfe et al. review attempts to classify individual pollen assemblages so as to recognize human modification of the European landscape. Fang Tian et al. present a synthesis of biome changes in northern and eastern Asia over the last 40,000 years. Palynological work in China over the last 60 years is reviewed by Yan Zhao with a discussion of the major directions taken by current studies. Will Gosling et al. report work on modern pollen richness and diversity in different tropical regions. It is a pleasure to record our thanks to The Royal Swedish Academy of Sciences, The Swedish Science Research Council (VR), The Swedish Research Council for Environment, Agricultural Sciences and Spatial Planning (FORMAS), The Wenner-Gren Foundation, and The Faculty of Health and Life Sciences of Linnaeus University (Kalmar, Sweden) and the Linnaeus University’s Vice Chancelor Stephen Hwang for their generous financial support. We are also grateful to The Royal Swedish Academy of Sciences for hosting the event, and to the Academy’s personnel for making possible such an exciting and memorable conference in Stockholm.